Microsoft today released a demo of Forza Motorsport 7 for both Xbox One and Windows 10. As an “Xbox Play Anywhere” title, anyone that purchases the game will be able to play it on either or both. Queue up the demo for download from this page. 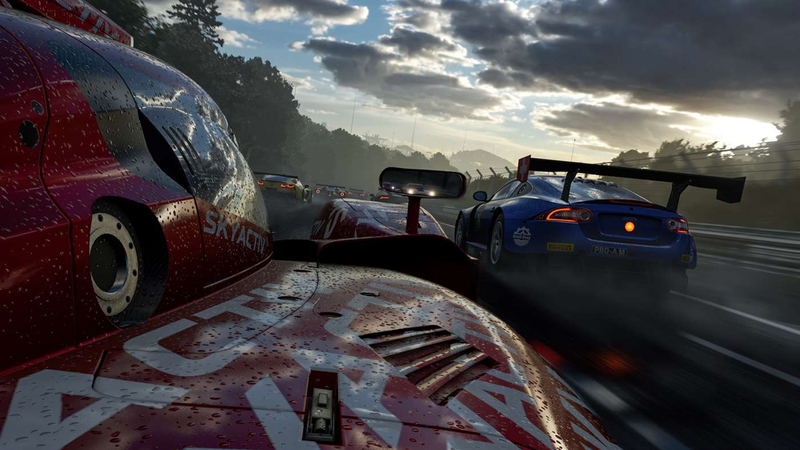 The demo features three unique racing experiences in Forza Motorsport 7, showcasing the depth and breadth of the experiences available in the game. Drive the Forza Motorsport 7 cover car – the Porsche 911 GT2 RS – to the brand-new Dubai circuit and experience the thrill of navigating the Jebel Hafeet Pass, one of the most famous driving roads in the world. Or, pilot the massive Mercedes-Benz Tankpool racing truck to victory at the high-speed Mugello circuit in Italy. For drivers who want the ultimate test, the Nissan NISMO GT-R LM is available for a race at the Nürburgring Grand Prix circuit. Fans will be challenged to handle the ‘Ring’s complex corners and elevation changes, while also tackling the dynamic track conditions that will make racing in Forza Motorsport 7 so breathtaking. Racing through rainstorms laced with thunder and lightning make for a visual showcase and for a challenge like no other – where dynamic puddles grow and shrink with the intensity of the rain. Forza Motorsport 7 will feature over 700 cars, 30 racing environments, and a brand new campaign. A push will also be made towards eSports through new leagues and enhanced spectating modes. With Xbox One X (and powerful PCs) it’ll run in true 4K and HDR at 60fps.